1. 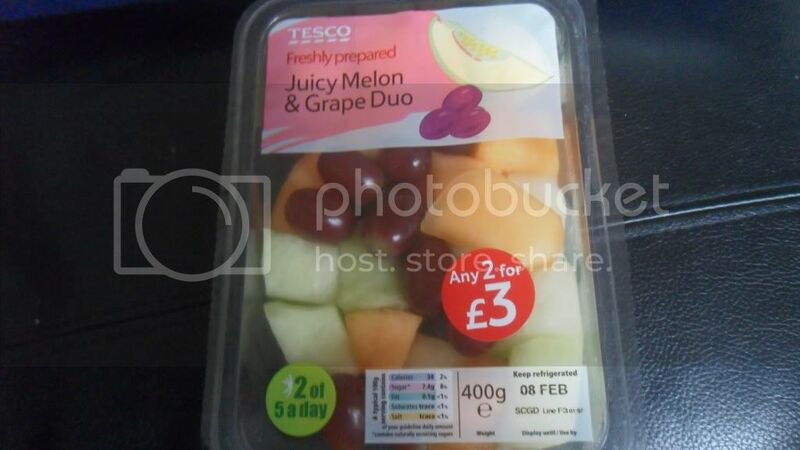 What a nice way to start off the week, with a lovely melon & grape fruit box, yum yum yum! Was actually soo good & refreshing, i love melon. 2. So, before my operation i used to be able to twist my right leg 180 degrees inwards, now i can do it the other way... silly stupid hips! 3. Spent the evening with Sam and this photo was taken early in the morning before i went to London, we took like 50 or 60, but he'd of killed me if i posted more than 1 or 2 haha! 4. Oh Starbucks, i needly my fix of green tea every day, it's just a necessity! I'm not a coffee fan, and i can't drink tea anymore because of my lactose intolerance so green tea it is. I love it! 5. Tired Courtney, i think this is about half way through the week, after majority of my appointments, you can see the effect it was beginning to have on me, WAY exhausted! 6. Found my old passport from when i was like 3 years old, must say i've definately changed a lot in my opinion, but hey... I WAS CUTE! 7. 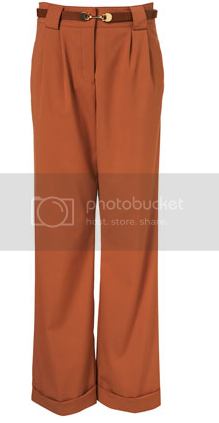 Topshop apricot belted wide leg trousers for £45.00 want NEED. A friend of mine told me they'd really suit me, and after looking at them everyday this week on the Topshop website, i've decided they need to be mine! 8. One of my 7 cats, a tabby 3 year old called Barney! 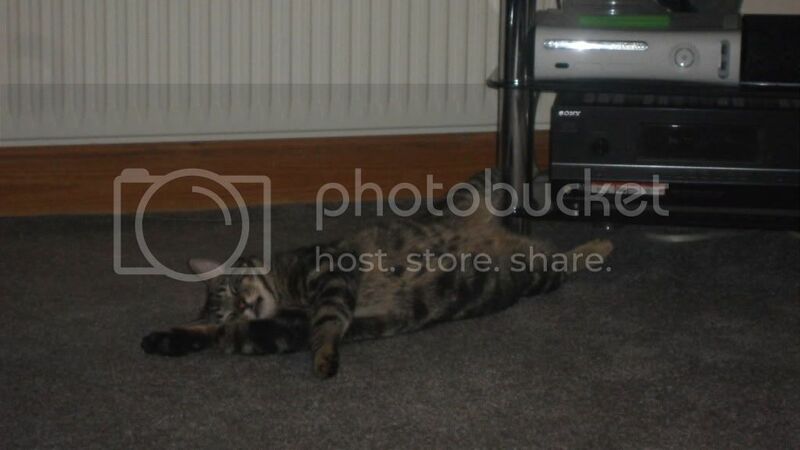 He's the most daft cat ever, as you can see from this picture! He's the biggest one out of all my cats but so gentle, so pathetic haha! 9. I went to a party for the first time in about 4/5 months, i enjoyed myself which i didn't think i would as i thought i'd be more concerned about staying on my feet, but it was good! Was really nice to dress up and wear heels and just drink away all bad thoughts! I love those melon and grape fruit boxes! So nice to have in a morning or if you don't fancy anything heavy. 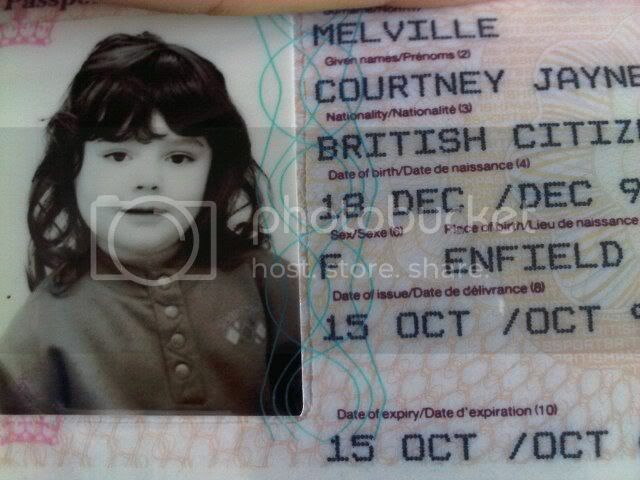 Your old passport photo is adorable :D you look as if you were in mid conversation, haha. Love your dress on the last photo, great figure to pull it off! 7 cats, wow! I'd love to have that many but the one I've got is quite a handful! Yours looks so cute! 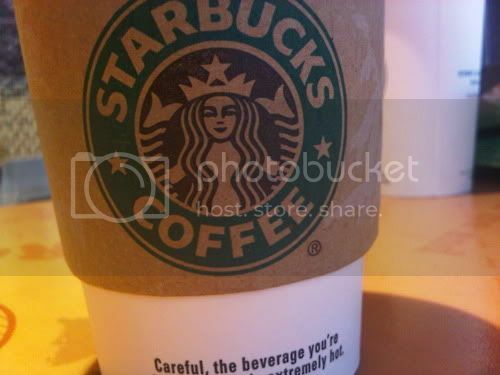 I've never tried green tea, when I go to Starbucks I always have some sort of coffee based drink, I'll have to try it soon! fruit salad and starbucks tasty! 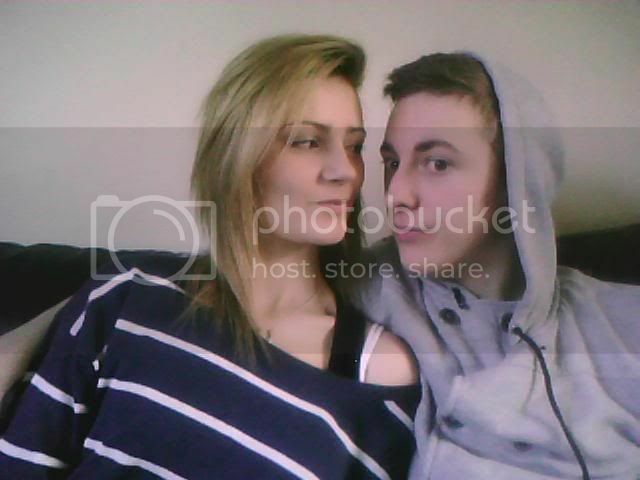 Awww lovely pictures! And you look amazing in that black dress!!! i cannot believe that is you in the photo! so funny. and that tesco treat looks goooood. That passport photo is one of the cutest things I've seen in awhile. or maybe it's those TopShop trousers.... Also, thanks for your comment and have a happy Valentine's day! <3 your blogg, consider em a follower! nobody wants to see your grim leg movements. just keep that to yourself! I want to be able to do that with my feet! !